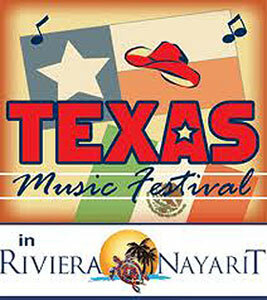 In Riviera Nayarit luxury means music, and music has allowed us to celebrate the Texas Music Festival in our destination for the last nine years. This year, the event will take place on June 11 to 18 at the Marival Resort & Suites and at the Marival Residences & World Spa. The Tejas Brothers, Mark David Manders, Max & Heather Stalling from Blacktop Gypsy, Matt Hillyer & Jordan Hendrix from Eleven Hundred Springs and Texas Daze are some of the performing artists this year. Two beach parties with these bands, performances every night, a Texan gastronomy event directly from the restaurant “Love and War in Texas”, and lots of fun await tourists visiting Mexico’s Pacific Treasure this summer. The event is free for guests of Marival Resorts & Suite and Marival Residences & World Spa, and it’s also open to the public and will be available through at $50 USD Night Pass, which will grant them access to the hotel and its entertainment centers between 18:00 and 24:00 hrs., or through a $25 USD Drink Pass, which will allow them to enjoy the show for 3 hours. The Convention and Visitors Bureau (CVB) of Riviera Nayarit congratulates the organizers, as it’s only through the joint work of hotels, operators and event organizers that have are able to support events like this one, which contribute to the promotion of our destination.